In the modern day of high detail precision artwork Carlos Ezquerra might seem like an odd choice but he is the visual grandaddy of heavy weaponry, science fiction city scapes and the most famous Judge ever to walk the streets of Megacity One, spawning a major movie featuring Sly Stallone and a generation of Judges under the awe inspiring steely gaze of the foremost tough guy in British Comics. It is easy to underestimate the effect that the design work that went into Judge Dredd had as like all genre defining moments it becomes a feature of everything that comes behind it. The weird part is that Carlos Ezquerra wasn’t the first to see his artwork on the title in print. Be in no doubt that the most easily recognisable British Comic Book character – aside from Desperate Dan and Dennis the Menace (now there’s a crossover we all wanna see) was brought to life visually by Carlos Ezquerra. British Comic book writing legend John Wagner sent Ezquerra a poster of Death Race 2000 with the central character, Frankenstein in black leather on a motorbike as the source of inspiration for the character. Ezquerra sent back Dredd – armoured, leather covered with zips and buckles and the world reknowned badge pinned to his chest. 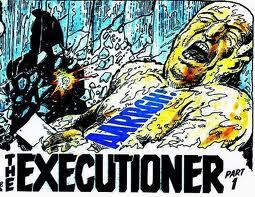 His conceots for Megacity One and the equipment and clothing was deemed too advanced for the title as it was intended and so Pat Mills – who had taken over as writer after Wagner left disillusioned over financial arrangements behind 2000AD – pushed Dredd further into a post apocalyptic future. Now that’s a sign of a great concept designer – advancing the designs so much it alters the original pitch for the better. 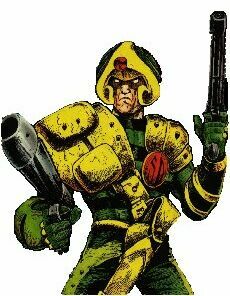 Unfortunately for Ezquerra, newcomer Mike McMahon was to introduce Dredd to the world in Prog 2 of 2000AD – Dredd a scrawny shade of his original self. Ezquerra, enraged at being removed from the strip he designed left and returned to ‘Battle’ comics. Until Prog 9 – in which Wagner’s ‘Robot Wars’ story line began with a rotating art team – including Ezquerra. 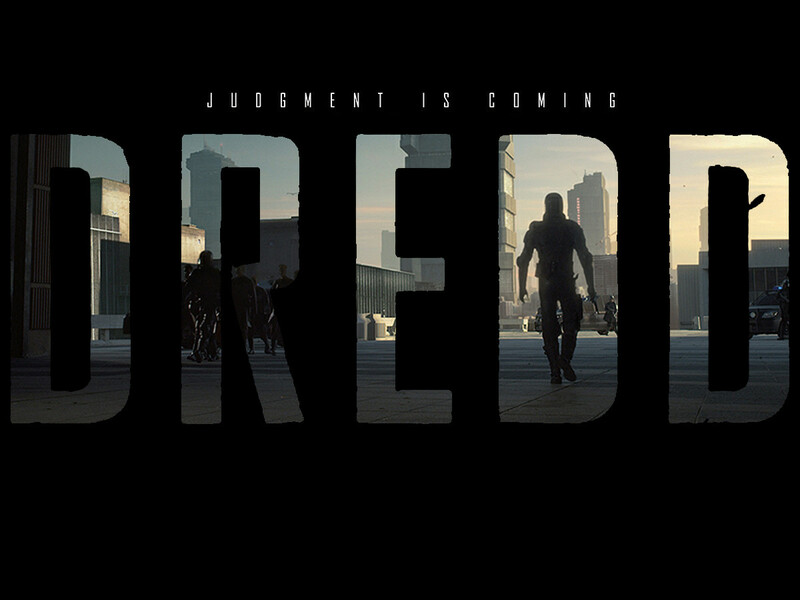 The strength of the storyline saw Dredd become the most popular character in the magazine. Ezquerra’s work became synonomous with the stone faced law man. While it can’t be argued as faultless – his grasp of anatomy stops at long chins and gollum faces its his lasting legacy that secures him a position in the annuls of comics history. 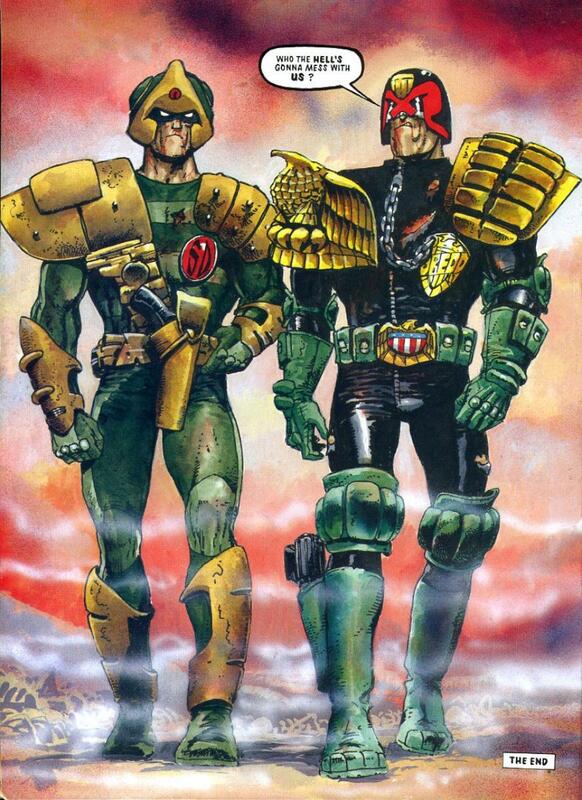 The Dredd and the Strontium Dog he created visually perfectly embodied the strength and hard bitten nature that was needed in the environment that had been developed for him to stride through. Ezquerra, like many other exceptional artists, has a sparing and economical style that carries as much information as his more precise or detailed peers. But its in the simplicity that he communicates better what many others have struggled to in page after page of meticulously rendered panels. When two tough guys walk out onto the Cursed Earth just how many lines do you need? – thankfully Ezquerra’s chosen for you. A determined and clear minded individual who stuck to his guns as well as any lawman he ever drew – Ezquerra was removed from his post and could have been left to the annuls of comic book history. But he returned and stood out alongside his creation and perservered to receive the credit he deserved. He represents the optimism and determination needed to be a comic book artist, subject to the whims and turmoil of an ever shifting industry.